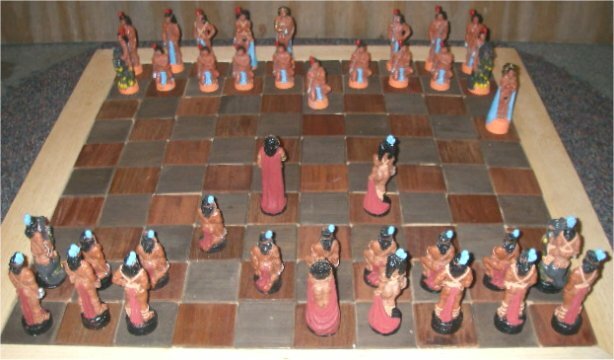 The Gatholian Gambit involves more than just the traditional first move known as the Chief’s Gambit, indicating that the Chief is willing to engage in combat, but – as will be made clear in a move by move analysis of the Gambit as it is played in the match between Gahan of Gathol and U-Dor of the 8th Utan of the Jeddak of Manator – it involves a combination of moves that inevitably leads to the two Chief’s facing off in a contest to the death. Manatorian Jetan is, of course, a game where squares are contested to the death. 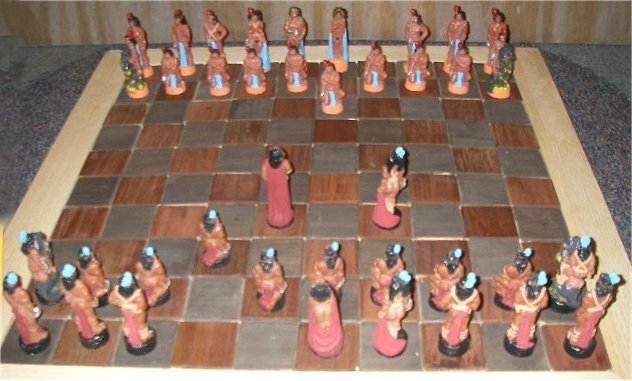 The way the Chief’s Gambit’s was used in this match is the reason it became known as the Gatholian Gambit. Not even the offering of the Princess as a lure in concession can change the outcome, for if it did, it would no longer be the Gatholian Gambit. The fact that U-dor conceded the game by offering up his Princess is hidden in the text, and only the chess-observant reader, following the moves across the Jetan Board, understands how this came about by solving the hidden chess problem. This problem will be solved for the reader in the analysis below. This wonderful story works on multiple levels, which is the norm for most of ERB’s stories. This is why he is the King of Pulp Fiction. chooses his pieces among the Manatorian criminals from the Pits. He knows they will fight fiercely for the chance at freedom, no matter how dim. U-Dor’s arrogance keeps him from realizing the real menace he is facing in Gahan of Gathol, the man who has gone through numerous sufferings to have Tara of Helium for his own. Gahan of Gathol, this time disguised as U-Kal of Manataj, also volunteers as the Black Chief, and chooses his pieces among mainly Gatholian slaves. He even finds a warrior from Helium, Val Dor, among them. He pitches a story to them dealing with a Gatholian Princess defiled by the Manatorians, arousing their national pride, but keeps the fact that he is Jed of Gathol concealed from them. The Jetan set we will be using in this analysis was provided by Rick Johnson, who also took the pictures. He made the board using single wooden squares glued together. 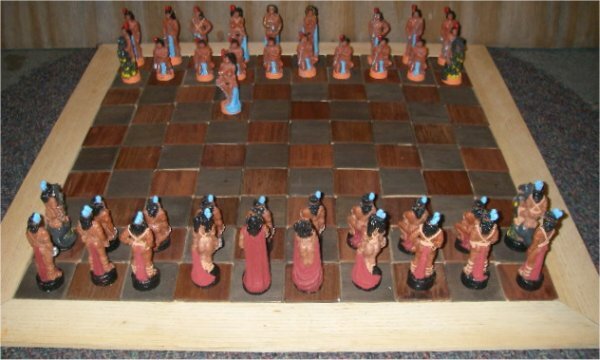 He also painted the pieces, which were made by James Killian Spratt. 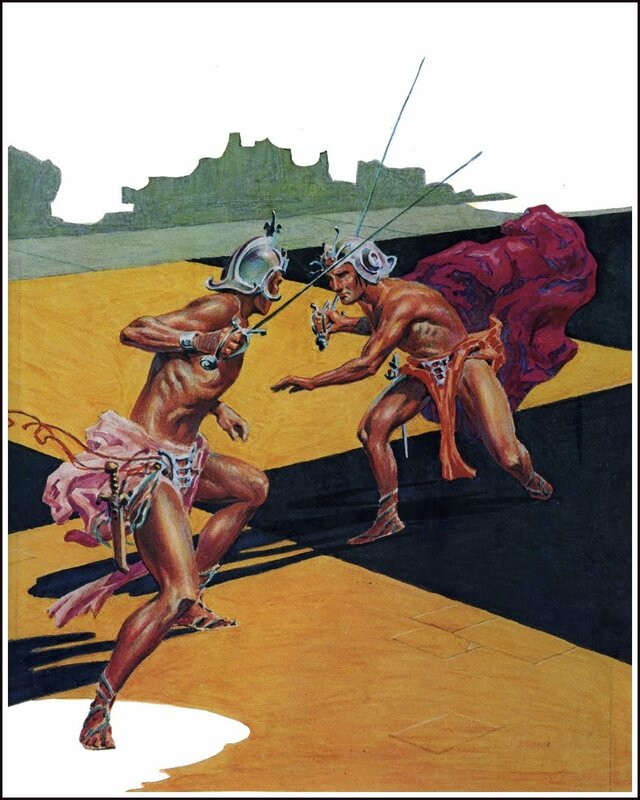 Mr. Johnson used extra female pieces in lieu of regular Odwars – think of them as Amazon Odwars. 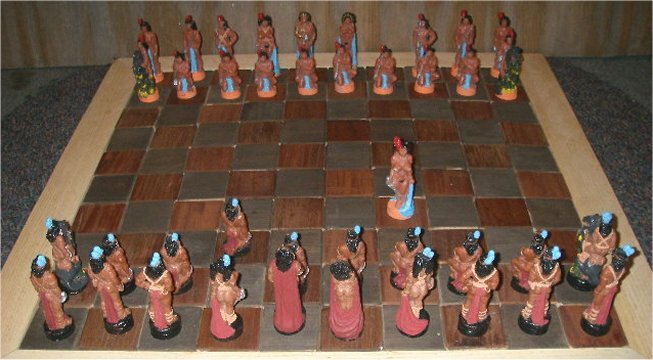 The black pieces – those of Gahan – take the south side of the field and are placed from left to right in the back row as: Warrior, Padwar, Dwar, Odwar, Chief (Gahan), Princess (Tara), Odwar (Val Dor), Dwar, Padwar, Warrior; left to right in the front row: Thoat, Panthans (8 of them), Thoat. 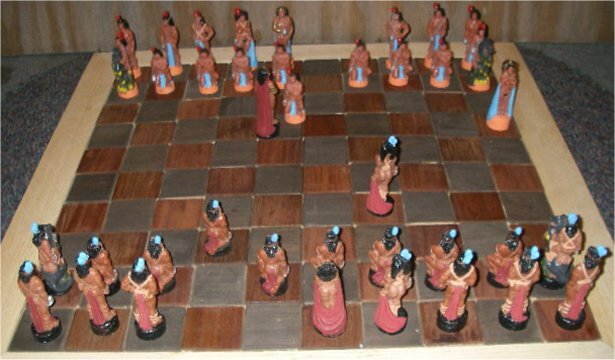 The Orange pieces – those of U-Dor – take the north side of the field, and from the Orange perspective, are arranged from left to right in the back row as: Warrior, Padwar, Dwar, Odwar, Princess (Lan-O), Chief (U-Dor), Odwar, Dwar, Padwar, Warrior; back row, left to right: Thoat, Panthans (8 of them), Thoat . 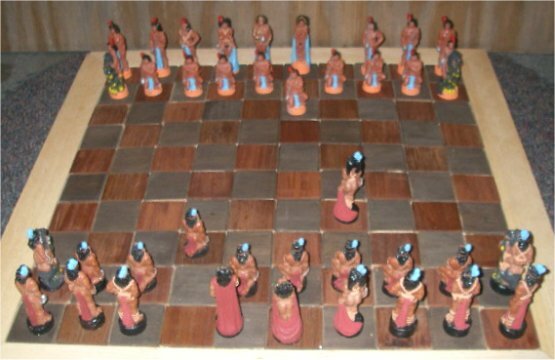 The black chief is on a black square; the orange Chief on an orange square; thus, the Chiefs and Princesses face each other as in traditional chess. We will describe the game from the south end of the board, that is, from Gahan of Gathol's perspective, to avoid confusion. We are told that the initial move is won by U-Dor, so orange will go first. direction, placing the piece also on Gahan’s Odwar’s 7th Square. Gahan gets to move next. He makes what would be forever thereafter called the Gatholian Gambit: Gahan moves his Odwar’s Panthan one square forward – from an orange square to a black square – to his Odwar’s 3rd square; or, U-Dor’s Odwar’s 8th square. 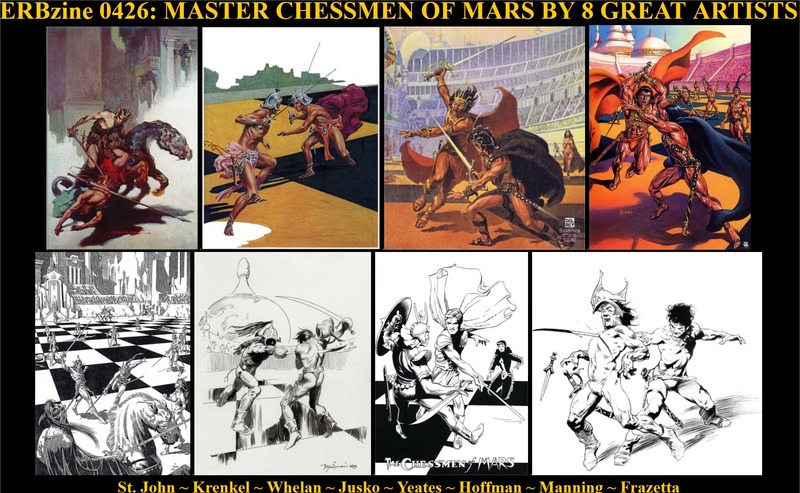 This move opens up a left diagonal avenue whereby Gahan can move out onto the field mounted on his thoat to engage in combat, which was the original concept behind the Chief’s Gambit before it achieved ultimate fame and form in Manator at the hands of Gahan of Gathol. It is the specific intent of Gahan to win Tara of Helium by killing the Orange Chief, even if it means killing every Orange piece in the process. U-Dor does not give much consideration to Gahan’s opening as he boldly sends Lan-O's Odwar three squares diagonally to the Princess’ Odwar’s 7th square; to wit, Tara’s Odwar’s 4th square, within three squares – striking distance – of Tara of Helium’s square of the same color. 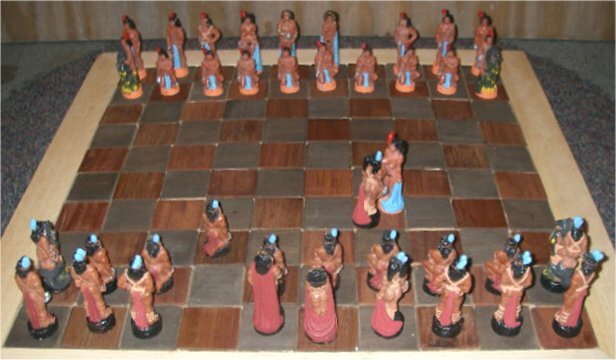 Tara can be taken by the orange Odwar in a combination move involving three orange squares – jumping either the black Chief’s Panthan or the black Princess’ Odwar’s Panthan. We can imagine Tara flinching as the orange Odwar stares presumptuously at the proud beauty. We know what is in the mind of the Manatorian criminal playing the part of the Orange Odwar: the Princesses go to the winners, so we know he wants to be the first to have his way with the slave girl from Helium. We can imagine Tara at this moment glancing up at Gahan as he sits astride his thoat, perhaps raising her eyebrows in a query. Likely, she would be much more comfortable having her Odwar, Val Dor, engage the orange Odwar, but Val Dor is on a black square and cannot engage the orange Odwar. That leaves only Gahan’s Odwar to save the day. to this point. Gahan stares into his eyes of his Odwar, measuring him up. The Odwar stares back, assuring the Black Chief that he is the man for the job: he will save the Princess of Helium. 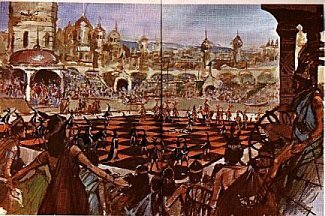 Without further hesitation, Gahan moves his Odwar three squares diagonally to his right, jumping over his Panthan, contesting the Orange Odwar’s square. A battle royal follows as the Odwars contest the square to the death. In the end, the unnamed Black Odwar is victorious, saving the Princess. One can easily imagine Tara watching the combat, her breasts heaving in anticipation. She must have felt queezy knowing that her life and honor were in the hands of a Gatholian slave, rather than in the hands of her own Odwar, Val Dor of Helium, whom she knew and trusted, as he had fought for her from the Gardens of Issus to the great battle of Kadabra. How she must have sighed in relief when the Gatholian slave proved victorious. 5. The Fifth Move of the Game. 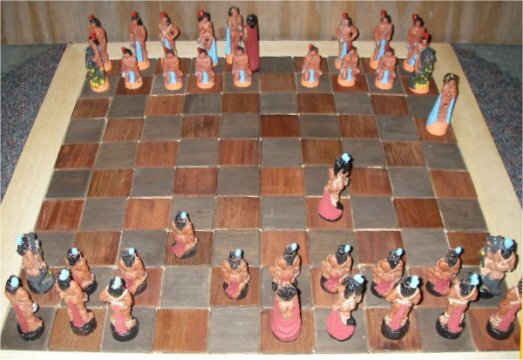 The moves after this victory are described by ERB as the certain as the so-and-so move after the first combat, and he does not describe the move by move play until picking it up again after the fourth move after the victory (thus, the eighth move of the game – which was Gahan’s move to his Odwar's 7th square, or U-Dor’s Odwar's 4th square). The three moves after the victory – the 5 , 6 , and 7 moves – are not specifically described and thus constitute ERB's chess problem for the reader to solve if he or she wishes to fully understand the situation of the story. Several clues are given to aid the reader in solving the problem. The first clue is tricky: after Gahan moves to U-Dor’s 4th square, we learn that Lan-O's Panthan has been moved one square forward, or to her own 3rd square, which is one square diagonally in front of Gahan. Lan-O has also been moved prior to Gahan moving onto his own 7th square, but for reasons discussed below, the Panthan must have been moved first. 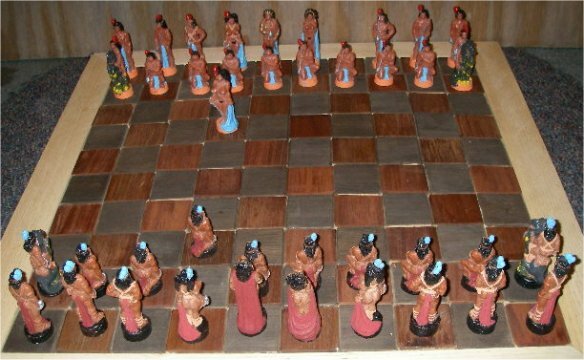 Therefore, U-Dor moves Lan-O's Panthan one square forward for his next move, the fifth of the game, and the first after the Black victory. 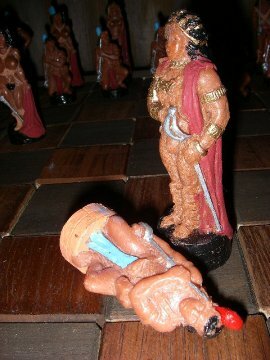 He is sending a clear message that he is a great chief in Manator and is also willing to engage in combat to the death. square diagonally to his left, one diagonally to his right, and one square forward, placing him on his own 4th square, U-Dor’s 7th square. Gahan has accepted U-Dor’s challenge and waits to have it out with him to the death. This the moment of decision for U-Dor and he is not prepared for this sudden unexpected situation. If Tara really meant that much too him, he would have gladly charged out onto the field to engage Gahan, playing all out to win. However, his next move shows that his infatuation with Tara was nothing more than a patrician whim for a beautiful girl – the soup of the day – who would be his plaything for a few days before he then gave her up to his men. For this disgrace to the Heliumite Princess, he will pay dearly. By this time U-Dor must have realized that the Black King was coming after him personally, mano a mano. The afternoon folly of the spoiled bored patrician has now taken on a whole new light. U-Dor decides that his fantasy with Tara isn't going to happen, and boldly moves Lan-O into a position where she can be taken by the other side without any more blood being spilled. 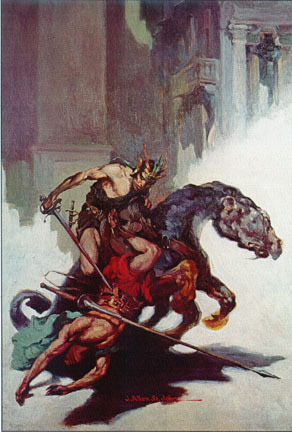 ERB tells us that he intended to lure Gahan away from him. We know that U-Dor had to have executed "the escape" for Lan-O in this move, for she has moved too far for only one move. 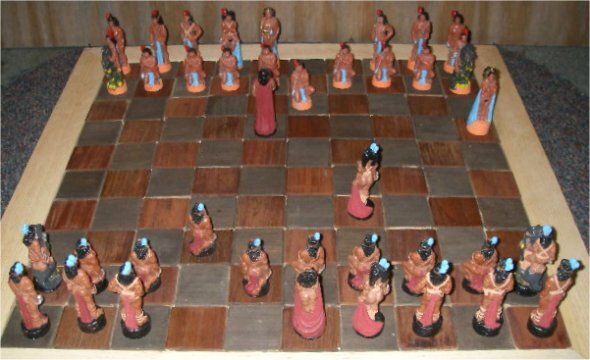 It was impossible for her to have been moved four squares east of Gahan in two moves, for U-Dor needed one move in order to move her Panthan one square forward. 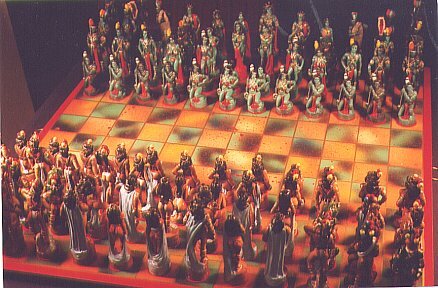 Thus, U-Dor moves Lan-O to her Warrior’s 4th square, placing her within striking distance of Gahan’s Odwar, for the seventh move of the game, the third move after the victory. The reader is free to see how many variations can be made in "the escape" of the Princess: ten moves in any direction, jumping intervening pieces, but never in the same square more that one time during the move – ending up on her Warrior’s 4th square. This move is by now no surprise for we know that the fourth move after the victory was Gahan's, and that he moved three squares forward onto U-Dor's 4th square, with Lan-O's Panthan facing him one square diagonally to his right. It is in the fact that Gahan makes this move at all that insured his eternal fame in Manatorian Jetan. Even after U-Dor has conceded the game to Gahan by offering Lan-O to his Odwar, just three diagonal spaces away from Lan-O, Gahan boldly declines the concession, and moves three squares forward. He intends to kill U-Dor and show the Manatorians how their game of Jetan should be played. U-Dor is feeling true desperation at this point. 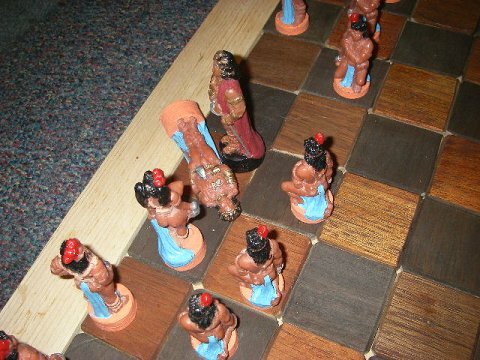 He must sense the blood lust in the face of the Black Chief as he sits astride his thoat waiting for his next move. U-Dor takes one last chance and moves Lan-O's doomed Panthan one square diagonally to the left, to the square occupied by Gahan of Gathol. Gahan makes short work of him and is the victor. 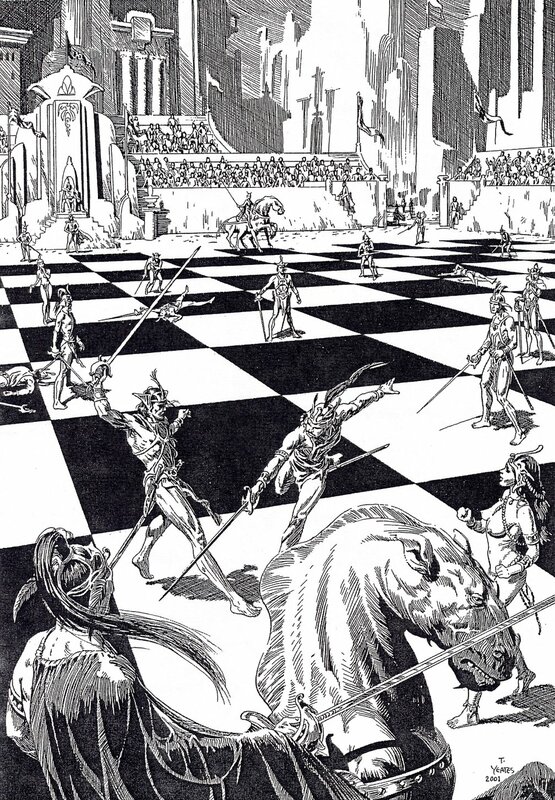 Gahan then makes the move that forever seals the fame of the Gatholian Gambit: he attacks Val-Dor' square, moving one square forward, one square diagonally to the right, and finally one square diagonally to the left, entering U-Dor's space. An epic fight ensues: Gahan battles U-Dor for hours, until right before the sun sets, he cleaves U-Dor's head with his long sword to the chin and the match is over. The Sixth Runner-up in the Seven Wonders of Barsoom!